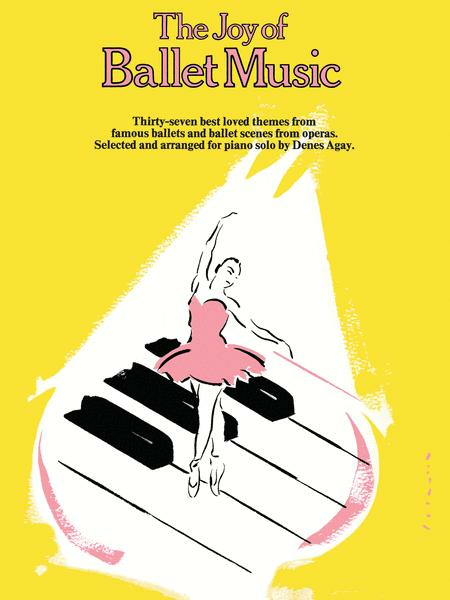 37 best-loved themes from famous ballets and ballet scenes from operas arranged for solo piano. Includes: The Sleeping Beauty Waltz oe Saber Dance oe Dance of the Little Swans oe and more. Thirty-seven best-loved themes from famous ballets. Arranged for solo piano. 37 best-loved themes from famous ballets and ballet scenes from operas arranged for solo piano. Includes: The Sleeping Beauty Waltz oe Saber Dance oe Dance of the Little Swans oe and more. 37 best-loved themes from famous ballets and ballet scenes from operas arranged for solo piano. Includes: The Sleeping Beauty Waltz PS Saber Dance PS Dance of the Little Swans PS and more. Excellent and very musical arrangements. I really enjoyed reading/playing through these wonderful arrangements. Denes Agay shows great arranging skills and sensitivity. May he rest in peace. 22 of 45 people found this review helpful.